Details: It's been said that Revolt's concept is simple. Modern day weapons in fictional events based on real places. Weapons are balanced to ensure an even playing field no matter the team. Scenarios designed to encourage team work and strategic positioning to complete an objective or series of objectives. 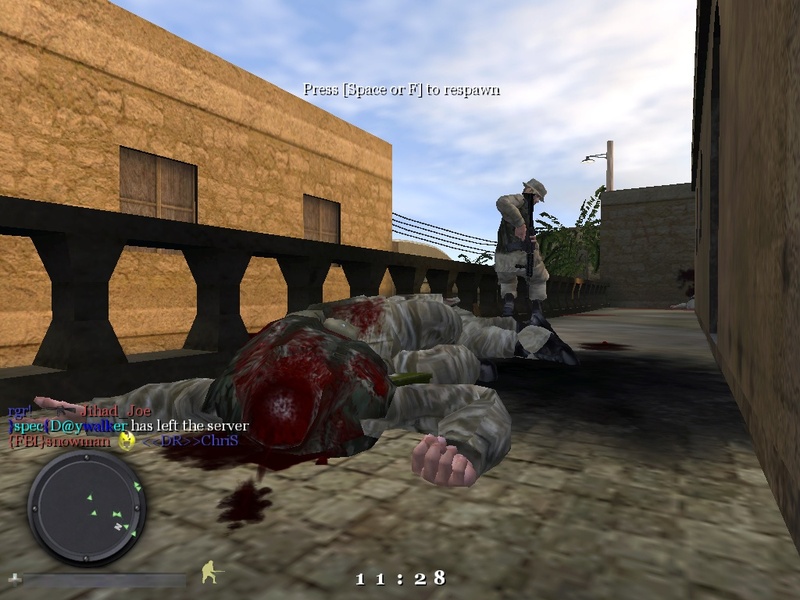 Before Call of Duty was known, Revolt was derived from something called "Clan Wars". This LAN clan concept would be driven by the community on the Refractor 2 engine. It was to take place in modern day with fictional battles boasting balance between the 2 teams. Even the maps were mirrored on both sides to kill any advantages. The entire purpose was for fair game in a competitive manner. The mod never surfaced. Shortly after closing it down, they decided to make maps that would incorporate this balance, pretty much being a mod in itself. This was just something to pass the time as we searched for a home for the game we wanted to play. This is when Revolt came to be. With the name Revolt, we were virtually unrestricted or unbound by any theme and could pretty much extend our imaginations to see all sorts of potential defining and redefining a name. mainsite for cod files and mods! Rate this File! 10 - This rocks! 9 - It's tight! 8 - Pretty good! 7 - Not Bad! 6 - I've seen better! 5 - Average 4 - Bad bad bad! 3 - Eat my plasma! 2 - Worthless 1 - Muhaha, sucky! This is the official singleplayer demo for Activision's new title, Call of Duty. *Some 3D accelerator cards with the chipsets listed here may not be compatible with the 3D acceleration features utilized by Call Of Duty. Please refer to your hardware manufacturer for 100% DirectX 9.0 compatibility. Call of Duty a First-Person Action game that delivers the gritty realism and cinematic intensity of World War II's epic battlefield moments like never before - through the eyes of citizen soldiers and unsung heroes from an alliance of countries who together helped shape the course of modern history. 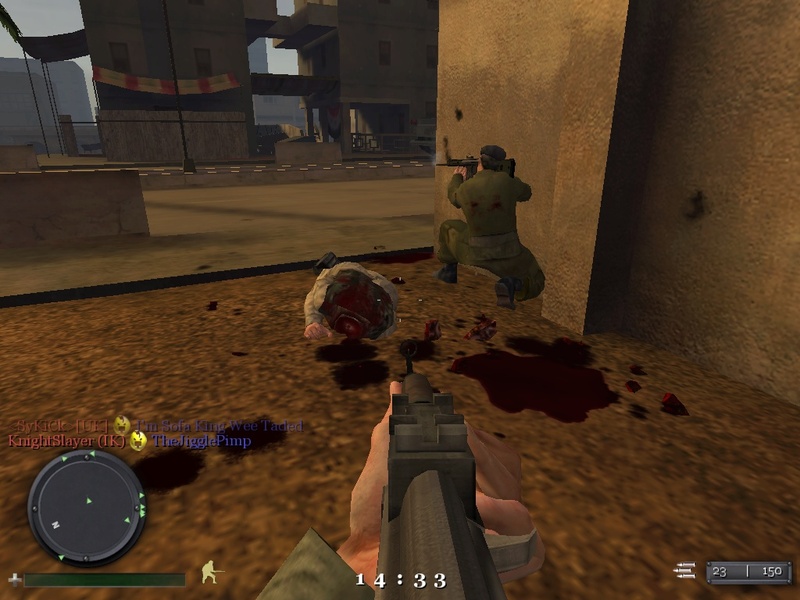 Developed by Infinity Ward--a newly formed studio including 22 of the individuals, and all of the production leads, who developed the PC title Medal of Honor: Allied Assault(TM). Call of Duty(TM) delivers the gritty realism and cinematic intensity of World War II's epic battlefield moments like never before - through the eyes of citizen soldiers and unsung heroes from an alliance of countries who together helped shape the course of modern history. Play through the chaos of battle as part of a well-trained squad, that lays down covering fire and pulls its wounded to safety. In addition to authentic squad movements and tactics, each soldier?s distinct personality and training comes out on the battlefield. No one soldier or nation single-handedly won the war. For the first time, Call of Duty(TM) captures the war from multiple perspectives, through the eyes of American, British and Russian soldiers. Battle through 24 missions spanning 4 interconnected historical campaigns. Take on mission objectives ranging from sabotage and all-out assault to stealth, vehicle combat and rescue. Authentic weapons, locations, vehicles and sounds of war all contribute to the realism, immersing you in the most intense World War II experience yet. Just click the CD icon next to a file or category and a popup window will appear with your CD layout and further info! This server has 120 download slots for Europeans only! UPDATED EVERY 6 HOURS! The very latest files may give a 404 file not found!